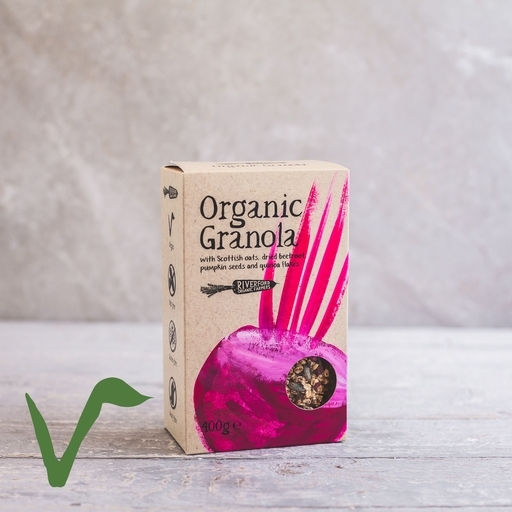 Organic granola with hearty grains, a pinch of cinnamon, coconut nectar and bright purple pieces of dried beetroot. Is it going too far in veg nerdery to eat beets for breakfast? No – their hint of earthy sweetness makes perfect sense once you’ve tried it. Serve with milk (watch it turn pink in the bowl! ), or top with a dollop of yogurt and some fresh fruit. Use withing 1 week after opening, to retain freshness fold down the inner bag after use. Store in a cool, dry place out of direct sunlight.